Chen Soon Lee Book Stamp & Coin Centre operates within Singapore’s Bras Basah Complex, at 231 Bain Street. 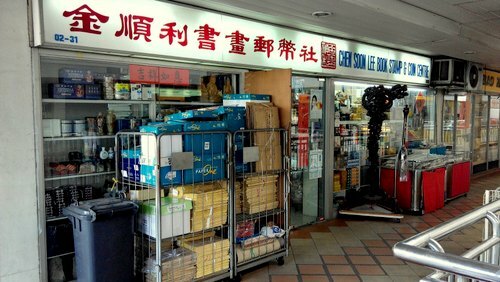 Founded in 1981, Chen Soon Lee Book Stamp & Coin Centre provides various Chinese calligraphy and art stationaries. The service range also includes a variety of books and framing services. The official Chen Soon Lee Facebook page is located at www.facebook.com/ChenSoonLee/. Following the Facebook page, you’ll receive updates, for example, about changes to the shop’s opening hours, their promotions, plus more.